The Supreme Court has issued a case-by-case manual for court-appointed administrators on how to retrieve children in parental cross-border abduction cases under the Hague Convention, minimizing the use of force to avoid traumatizing the kids, the court’s spokesman said. The manual, issued June 14, outlines measures the administrators who would be assigned the task of returning children to their place of habitual residence, even by force, should take as Japan considers joining the Hague Convention by the end of next March, the spokesman said Friday. It says the administrators “should take utmost consideration” to protect the interests of the child. The 1980 Hague Convention on the Civil Aspects of International Child Abduction mandates procedures for a child abducted by one parent of a failed marriage to be swiftly returned to its country of habitual residence. The convention only applies to children under the age of 16. The nation has come under fire in recent years over cases in which Japanese parents in estranged marriages overseas have brought children to Japan in defiance of divorce court custody or visitation rights rulings abroad. Often, the estranged Japanese spouse claims to have fled from an abusive relationship. But the removal of a child from its country of habitual residence has been deemed a violation of that nation’s law, and the abducting parent a fugitive. Under legislation that cleared the Diet in May, a court-designated officer can forcibly retrieve a child abducted or retained by a parent residing in Japan in defiance of an overseas custody ruling and who refuses to hand over the child. The manual calls for the officer to attempt to take custody of the child at the home of the abducting parent, in an environment where privacy is thus protected and the child feels safe. Taking a child away in a public place, such as a day care center or on a street, may lead to “unpredictable situations” and traumatize the child, it said. If the child cries or refuses to be returned to the other parent, the officer should not use force, according to the manual. Should an officer visit a home to retrieve a child and is told it is not present, the child’s name should be called out and a check made on the presence of the child’s belongings, the manual says. The officer is authorized to forcibly enter and search a home if there are indications the child is inside. In the case of an infant, the manual allows the officer, with the parent’s consent, to remove it from the crib. But the officer must not try to forcibly take custody of an infant if the parent is hugging it tightly to prevent such action. The manual, issued by the Supreme Court’s Civil Affairs Bureau, is based on meetings involving judges and other court officials nationwide in January and February. The gatherings covered past cases of failed domestic marriages where one parent fled with a child from the country of habitual residence without the consent of the other parent. Court-designated officers have retrieved children in those cases but have not had specific manuals or regulations to follow. The latest document urges such officers in domestic cases to follow its instructions to avoid harming the child in any way. In past divorce custody cases in Japan, officers apparently tried to retrieve children in public places, resulting in shouting matches. Fiscal 2010 saw 120 domestic cases processed in which a parent demanded the forcible return of an offspring. The figure was 133 in fiscal 2011 and 131 in fiscal 2012. Japan is the only Group of Eight member yet to accede to the Hague Convention. If it becomes a signatory, the cases will be handled by a family court in Tokyo or Osaka. This paper will briefly compare the regimes adopted by Japan and Singapore for adopting the Hague Convention on the Civil Aspects of International Child Abduction, together with the two countries’ underlying family law systems in order to consider whether an “Asian” approach to the treaty may develop in the future. The Japanese Supreme Court ruled last week that a woman pay her ex-husband 50,000 yen (approx. $535) for each time that she denied him access to visit their daughter. The mother had agreed to regular meetings between the child and father in a family court settlement, and this marks the first time that Japan’s highest court has ordered penalties on a parent with custody for breaking their visitation agreements. The Supreme Court’s decision was an upholding of a ruling made by the Sapporo High Court, and the measure of “indirect enforcement” is said to often be used in cases where a debtor is ordered to make cash payments to a creditor as a way of having a psychological impact on those failing to obey a court’s decision. Justice Ryuko Sakurai said in the ruling that a parent can be ordered to make payments when the date, frequency and length of a meeting, or transfer method of a child that were agreed upon are disregarded. Other courts have set precedence of punishing custodial parents for not meeting their agreements, but as this is the first time the Supreme Court has made a ruling, it is expected to set a far-reaching standard. This decision seems like a significant contribution to the changes in parental rights in cases of divorce in Japan. The country almost always grants custody to the mother, and there is no recognition of dual-custody, often leaving the father with no rights to see their children. In the last decade, the number of court cases involving divorced, non-custodial parents demanding to see their children has tripled, less than 3,000 in 2001, to well over 8,000 in 2011. In addition, the Japanese government has finally committed to joining the Hague Convention on child abduction, an international treaty that requires taken children to be returned to the country of their original home in order to resolve custody in a failed international marriage. Up until now, Japan has been seen as a safe-haven for its nationals to bring their children back to without notifying their foreign spouses. ジャックコロー １１月２０１０年 from kingyochingyo on Vimeo. Sad commentary on attitudes of the Japanese system, the law enforcement system in particular, towards peaceful, kind-hearted left-behind parents who go through tremendous efforts to try to reach out to their children. It is obvious how uncomfortable the law enforcement is with this issue, to the point that it interrupts the filming of this complete event. Prime Minister Shinzo Abe will tell U.S. President Barack Obama when they meet, probably in February, that he wants to speed up the procedure for Japan to join the international treaty on settling cross-border child custody disputes, sources said Wednesday. The previous administration led by former Democratic Party of Japan leader Yoshihiko Noda had already made participation in the 1980 Hague Convention on the Civil Aspects of International Child Abduction an international commitment. The Abe team is aiming to submit a bill to the Diet early this year to endorse the convention, which sets rules for the prompt return of children under 16, taken or retained by one parent following the failure of international marriages, to the country of their habitual residence. Domestic legislation is necessary to join the convention, but a related bill was scrapped when the Lower House was dissolved in November. Among the Group of Eight nations, Japan is the only one yet to join the convention and has been facing calls from the United States and European countries to get on board soon. On May 6, 2010, Yasuyuki Watanabe, an internal affairs ministry bureaucrat, came home to find his wife and 2-year old daughter gone, along with their clothes. His wife had spirited away their daughter near the end of Golden Week, just days after he was enjoying the holidays taking her on hikes and to local festivals, recalled Watanabe, 40, now deputy mayor of Nasushiobara, Tochigi Prefecture. He recounted how he carried his daughter on his back and how they sang songs together until she fell asleep, snuggling against him. His world was turned upside down that fateful day. Last month she turned 5. "It is so important for children to feel loved by both parents, especially when they are growing up, and I think that my daughter feels abandoned by me, that I left her because I didn't love her anymore," Watanabe told The Japan Times during a recent interview in Tokyo. "The most painful thing about my situation is when I think about how my daughter must be feeling." Watanabe is one of many parents in Japan who have been torn away from their children after a falling-out with their spouse in a nation that grants only sole custody, usually to the mother, and where it is customary for parents not living with their offspring, to have little, if any, contact with them. This has also been a widely reported harsh reality for foreign parents, including those living overseas whose children have been taken to Japan by estranged Japanese spouses. These so-called parental child abductions are behind growing calls for Japan to join the international Hague treaty to prevent such cross-border kidnappings. "These two problems are actually closely related because the domestic and international situation is the same — your children are abducted one day out of the blue and you are forbidden from seeing them," Watanabe said. For Watanabe, what followed was a long legal battle with his wife, and divorce proceedings, which continue. Initially his wife let him see their daughter a few times, but that stopped abruptly when he was slapped with domestic violence charges — which he branded a lie. His wife alleged he had threatened her with a large pair of scissors while she was pregnant and told her he knew yakuza who would be willing to help him out with the situation by pushing her off a station platform in front of a train. The violence charges were later dropped. "There is nothing more terrifying than receiving an order to appear before the court over 'DV' allegations. I was completely distraught. The judge, however, recognized that much of her claims were questionable and warned she could be charged with false accusations, so she dropped the charges the day before the ruling was to be made," Watanabe said. But his wife then filed a lawsuit, demanding custody of their child and, again, adding allegations of abuse. Last February, presiding Judge Tatsushige Wakabayashi at the Chiba Family Court granted Watanabe's ex-wife custody of their daughter from the viewpoint of "continuity," ruled that Watanabe had committed domestic violence and rejected his demand that his daughter be returned. The Supreme Court finalized the ruling in September. While his legal battles dragged on, Watanabe asked lawmakers to address the issue and his case was deliberated on in the Diet. Given his public profile, Watanabe originally wished to remain anonymous. But to garner public support for his situation, he recently came forward to tell his story to the press. "I've been labeled a DV husband, and the judge completely ignored the facts and the law in my case. I had no choice but to stand up and fight," he said. Watanabe has solicited the help of a special group of lawmakers who are trying to get Judge Wakabayashi fired from the bench. 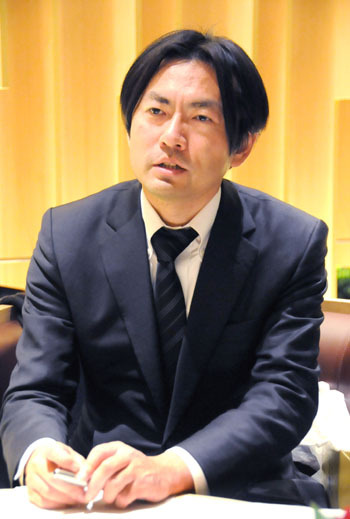 Among the so-called left-behind parents in Japan, Wakabayashi has spurred widespread ire, especially when in 2011, he criticized then-Justice Minister Satsuki Eda for telling the Diet that priority should be placed on the welfare of the child rather than the "principle of continuity." "There are many people in similar situations. I cannot give up for their sake. It is not just about me and my daughter. This is a battle for all children and their parents," Watanabe said. According to data compiled by family courts, there were 409 parents seeking the return of their offspring from an estranged spouse in 2001, whereas by 2011, there were 1,985 parents seeking to get their kids back. The numbers, however, reflect only the legal cases filed by left-behind parents that were officially accepted by the nation's family courts. Experts speculate they constitute only the tip of the iceberg. Masayuki Tanamura, a professor of family law at Waseda University, said various factors are behind the increase in parental child abductions, including Japan's sole custody principle and the current legal framework that generally grants that right to mothers. "Times have changed — fathers are more involved in child-rearing, and the legal system — including the principle of sole custody — makes battles over children more likely to happen. I think this part of Japan's legal system is outdated," Tanamura said. One major difference that makes Japan's legal system peculiar is that when an estranged spouse initially takes a child, it isn't considered a crime. This is because it is common for an estranged parent, generally the mother, to take the children to her parents' domicile if a divorce is being contemplated. But if the left-behind parent then subsequently tries to retrieve the offspring spirited away from their home, the action is considered kidnapping. Tanamura claimed there are many cases in which parents who spirit offspring away are unaware such action could be construed as abduction. From their point of view, they are merely considering a divorce or fleeing an abusive environment. "It is hard to label all parental kidnappings as illegal . . . but at the same time, there are many cases that could constitute a double standard. It's OK for mothers to first take the children away, but when the fathers try to get them back, this is illegal," Tanamura said. "This is based on the longtime concept that children belong with their mothers." To prevent children from losing access to both parents after a separation, Article 766 of the Civil Law was revised in 2011 to specify that visitation rights, child-support payments and other matters be determined during nonlitigated divorce proceedings, and that the welfare of the child be considered first. But even this change can't help people like Watanabe because his case was ruled on after the amendment. "The aim of the revision is to promote forming agreements (over child care) when getting a divorce. But there is nothing that guarantees compliance," Tanamura said. Tanamura and other experts thus agree that if and when Japan signs the 1980 Hague Convention on the Civil Aspects of International Child Abduction, it must at the same time institute fundamental changes in the legal system, and the public mindset must also be overhauled, or joining the convention will lead to naught. John Gomez, chairman of the recently founded Kizuna Child-Parent Reunion, a group of Japanese and non-Japanese parents, friends and supporters advocating the right of children to have access to both parents, emphasized the need for left-behinds to cooperate because simply joining the Hague Convention will not solve anything in Japan if it continues to take a one-sided approach to domestic custodial rights. "The problem of international cases and in-country cases has the same root cause — Japanese family law and the courts," Gomez said. "The abduction issue affects all people in Japan — mothers as well as fathers, Japanese as well as non-Japanese." The Hague treaty aims for the swift return of children wrongfully taken out of the country of their "habitual residence" by a parent to prevent cross-border parental kidnappings. Of the Group of Eight countries, Japan is the only nation yet to sign the convention. Japan has been under pressure from member states, including the United States, the United Kingdom and Canada, to join the convention, but it has been reluctant, given strong domestic opposition, especially from Japanese mothers who claim they fled to Japan with their children to protect themselves from abusive ex-spouses. Facing severe criticism from the international community, however, Japan finally reached the point of submitting a bid to sign the treaty and Hague-related legislation to the Diet during the last session presided over by Prime Minister Yoshihiko Noda's Democratic Party of Japan. But the politicians instead spent most of their time bickering over internal power struggles related to other domestic issues, pushing the Hague Convention to the sidelines once again. And it remains unclear whether the issue will move forward under the new government led by the Liberal Democratic Party. Government officials have expressed confidence that once deliberations begin, the Hague bid will be approved by the Diet. But parents, including Gomez, a longtime Japan resident who himself is separated from his Japanese wife and is having difficulty seeing his daughter, say joining the Hague treaty is only a step in the right direction, not a silver bullet. Gomez explained that on the legal front, parental kidnappings must be stopped, visitation rights made enforceable and the idea of joint custody introduced. But he added that public awareness must also be raised at the same time so the public understands the benefits of the changes to ensure the rules are followed. "The Hague is only one tool. The ultimate goal for us is a social and legal transformation of Japan . . . a complete transformation in terms of mindset and practice," Gomez said. "We firmly believe, Japanese and non-Japanese alike, that the social and legal transformation is for the betterment of Japanese society and children and improvement in the quality of life." The Government of Japan has been making efforts toward the conclusion of “the Hague Convention on the Civil Aspects of International Child Abduction (the Hague Convention)”. Should it be concluded, the Government of Japan will designate the Ministry of Foreign Affairs as a Central Authority which provides assistance for securing the return of children and other objectives of the Convention. Under the Convention, the Ministry shall take, either directly or through any intermediary, all appropriate measures to secure the voluntary return of children or to bring about an amicable resolution of the issues. Mediation, a non-judicial form of amicable solution, encourages both parties to move voluntarily on to an agreement and often successfully avoids the increased complication of the issues. Contracting States have recognised the importance of mediation in this light and shared this view at such forum as the Special Commission Meetings. Nevertheless, currently in Japan, there are no sufficient experiences or knowledge accumulated in the field of international mediation concerning child removal issues. The “Symposium on the Hague Convention – in Considering the Modality of International Family Mediation –” to be held on 16th January in 2013 will be a forum for discussing the modality of international mediation in Japan. The discussion will include sharing the experiences and knowledge of experts from the U.K. and Germany with a wealth of experience in mediation within the scope of the Hague Convention, and exchanging views on what modalities for international mediation should be in place in Japan after the Hague Convention comes into effect. We are looking forward to your participation and please register your attendance as guided below. In the case of group registration, please provide the necessary information of all participants. Seating capacity at the symposium is limited (approximately 200 people) and we may be unable to invite all applicants if we receive more applications than available seats. We will notify you whether a seat is available or not by around a week ahead of the symposium. Information provided by you on this registration will be processed properly and only used for the purpose of this symposium. Please come well ahead of the starting time as we will confirm your name at the reception desk. Persons not following our staff’s guidance or instructions in the hall will be refused admission or asked to leave. Please come to the venue by public transportation if possible as the Mita Kaigisho has no parking areas. I met my ex-wife on the night of my birthday in Narita, close to the airport. Coincidentally, we were born on the same day. That’s how this story began. We shared drinks and laughs. She was set to leave for the United Kingdom soon to study English. She gave me her name card and I called her a few days later. We began to date. She left me her car to use while she was away. I decided to move to Japan and wait for her return. We exchanged love letters and I took a job teaching English at the beach. This allowed me to exercise my passion for surfing. She returned and we moved in together, an arrangement that lasted eleven years. Some nine years after we first met, our wonderful son Kai Endo was born. It was the best day of my life when I saw his smiling face for the first time. He had the cutest grin and was definitely a mixed-race child. He looked more caucasian than Japanese, with blondish hair, but with his mother’s forehead and almond-shaped Asian eyes. He was big too, weighing about 3,500 grams at birth. His mother returned to the apartment we had recently purchased after the traditional six weeks with her family. She looked exhausted, as was to be expected with a young infant and the new challenges of sleep deprivation. I began to help more with the chores and be the best husband I could be. Conversations became more rigid and she often shouted demands at me. I accepted her change in behavior as the result of her being tired or having difficulty with her new role as a mother. Increasingly, she began to mention how single mothers in Japan are entitled to all sorts of benefits, such as subsidized education, health care, etc. I confronted her. “Why would you say such a thing?” But her reply was, “I don’t need you! You’re a foreigner anyway. Our son is Japanese and I never want to live in your country!” I asked her how she could be so mean and spiteful. We were drifting apart. I walked on eggshells around her when she was having her moments. It wasn’t long after that she asked for a divorce. I asked her if she was joking. She said no and walked away. When I saw her the following day, she asked me when I planned to move out. I realized that this was no joke. She wanted me out and to have nothing to do with me anymore. I tried to get her to talk but she just tuned out. I remember vividly holding my son for the final two months before I moved out and just kissing him over and over and telling him how much I loved him and that this wasn’t his fault. I signed the divorce papers and took an apartment close by so I could be near my son. My ex-wife had the audacity to tell me I should return to the United States. I had never felt so low in my life. After having my son, I felt complete as a person and loved my ex-wife more than anything. We had a child together. Now, my world was in shock. I reminded myself that I had to be a man. I decided to study Japanese more and accept being independent in a strange land. It was so difficult and often I couldn’t sleep. My nights were filled with questions about my son. What did he eat today? What’s he doing? Is he watching his favorite cartoon? I told his mother upon moving out that I would see my son everyday. She agreed that I could see him once a week. We would meet in a local park and play together, sing songs and study English. He was always happy to see me and I was even happier to see him. My ex-wife, on the other hand, never once looked at me or talked to me when I met my son. As a young boy, he could understand English very well. I live in the same neighborhood, I said. I can help, I can take him where he needs to go and pick him up from kindergarten. She said no… End of story! “Why don’t you just go back to your country and leave us alone?” she suggested. My son was seeing us like this for the first time, and a tear began to roll down his face. I asked her why she is doing this in front of our son. The situation soon became unbearable. I couldn’t believe someone could be so heartless. She never returned my calls or emails inquiring about my son. I would confirm our next meeting but she would refuse to reply. This was escalating into her dominance and the alienation of her son’s father. Kai was now four years old. This carried on for two more years. Meanwhile, my son was growing into a young man. I was so proud of him. When we did meet, we had the best four hours per month, filling the time with a lot of pictures, sports, affection and whatever else he wanted. And then came 2:46 pm, March 11. After the initial tremor of the earthquake had subsided I panicked. I called my ex-wife and sent her emails to check that my son was safe. She never replied. Not even to say he was unhurt. I drove by her apartment but the lights were out, as with most places. Her car was gone. I guessed she had gone to her mother’s. I began to panic. I knew Japan would never be the same after March 11. I needed to see my son and hear his voice. I was worried that he may be suffering from trauma. I finished my seventh mediation hearing. The court granted me one visit with my son. He was worried about me and his mother refused to tell him anything. I comforted him and was thankful he was able to see his father. However, she told the court that I couldn’t see my son anymore. She is too busy, she said. Japan must change its child custody laws! My current situation is unacceptable. I love my only son. I won’t ever give him up. Surely I have rights too? He is my son as well! This is where I am today. I urge Japan to change its custody laws. I and all the other left-behind parents deserve rights and access to our children. Japanese law grants sole custody, usually to the mother. This was my wife’s plan all along. I just want to be a good father and hope Japan wakes up soon and realizes children need both parents. Loving children shouldn’t be alienated from loving parents. Japan, it’s 2012! Please help me to get access to my only son. 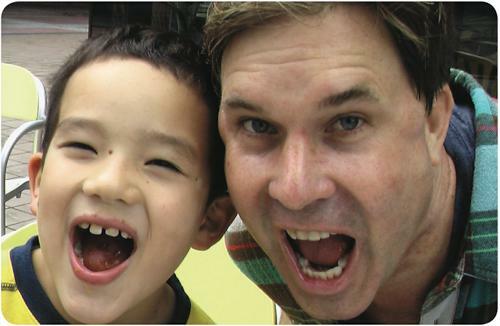 Tim Johnston is a resident of Narita, Chiba, Japan and the father of Kai Endo.